And FILTER "Microguard PRO2" SERIES "Microguard"
The cartridges are of the Carbon Block type with Fibredyne ™ technology. 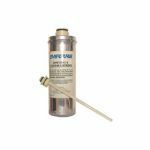 0.15 Micron Filter with Hollow Fiber, an Absolute Barrier Against Bacteria! 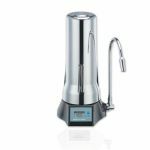 It is recommended to change the cartridge every six months and change the UV lamp every 12 months, regardless of the autonomy of the liters still to be dispensed for for greater safety, hygiene and healthiness of the water. Ultraviolet rays (12watts) system for greater water security. 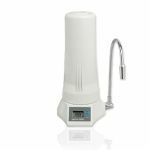 The UV ray provides safe water from the microbiological point of view eliminating any bacteria equal to 99.999%. The UV lamp has an autonomy of 8,700 hours at 365gg, and must be replaced once a year. All of our kits are equipped with fittings necessary for installation and a faucet.